Here at Crown Air Conditioning we have many years of experience in the service, maintenance and installation of air conditioning and ventilation systems. Our air conditioner service contracts have been carefully designed to offer affordable peace of mind to our clients in Guildford and Farnborough. Failure to have an air conditioner system serviced on a regular basis can lead to a range of problems which begin from a build-up of dirt and potentially harmful bacteria. At best a dirty air conditioner system will smell unpleasant and cost more to run, but at worst can cause expensive faults or a complete system failure. Our air conditioner service contracts are designed to help you avoid problems such as these and whether you’d like to have your system serviced on a regular basis or as a one-off, we’d be delighted to help. 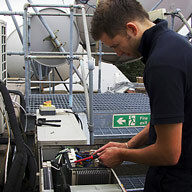 Our service contracts are available to all our customers – regardless of whether we installed your system or not. Not only do our contracts provide peace of mind that your system is reliable and working as it should be, they also include a range of useful additional benefits. Our service contracted clients enjoy reduced labour charges and guaranteed call out response times – especially useful if your system is vital for the running of your business. 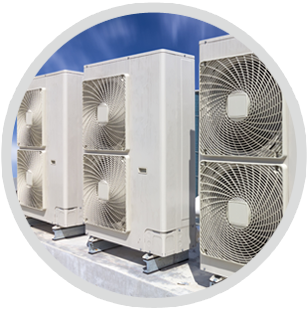 Our expertise covers all types of air conditioner and ventilation systems, including the critical cooling systems used in server rooms, communication rooms and wine cellars. We take great pride in the quality of our work and our air conditioning servicing appointments are carried out according to checklists and schedules to ensure nothing is overlooked. If your system is old, unreliable or proving very expensive to run, it could well be time to consider installing a brand new system. 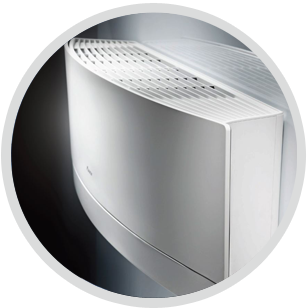 Here at Crown Air Conditioning we only install industry leading air conditioners made by highly regarded manufacturers including Mitsubishi, LG and Fujitsu, providing you with peace of mind that your system is designed and built to last. Our air conditioning design and installation service is available throughout Guildford and Farnborough, with appointments arranged at convenient times, including out of hours if required. As air conditioning ventilation specialists, our service contracts, design and installation services are available to commercial, business and residential clients. 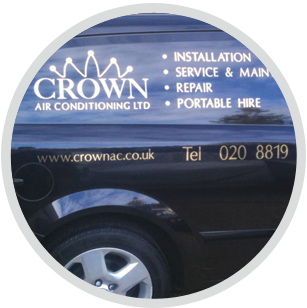 The majority of our new business comes to us through existing clients who recommend Crown Air Conditioning, so if you would like to find out what makes us leading service and maintenance contractors in Guildford and Farnborough, please use the contact form on our website or call us on 01737 668310 to arrange for a free quotation.